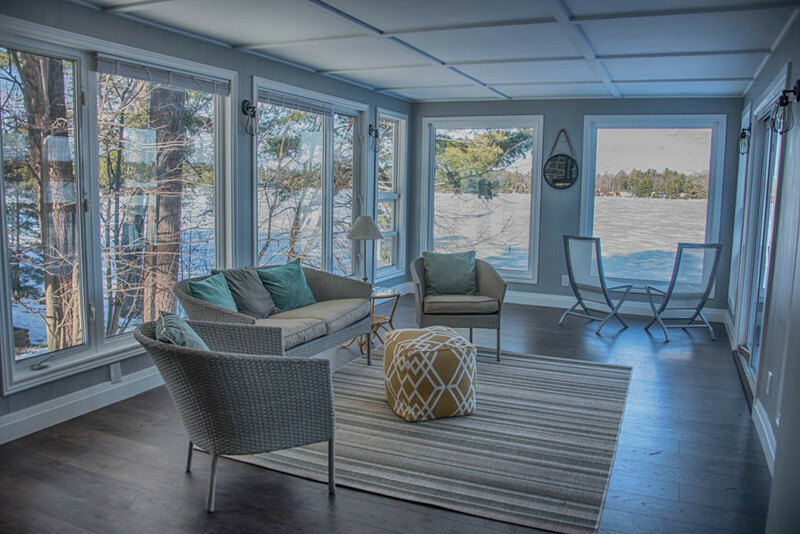 Royal LePage Lakes of Muskoka Realty is excited to announce that as of December 6th, 2017, our Port Carling and Bala offices are rebranding as the newest offices of established luxury real estate brand, Johnston & Daniel. 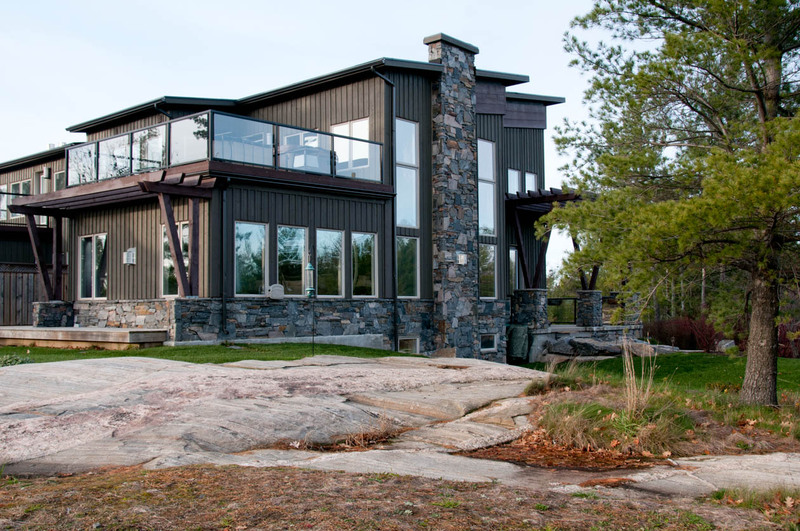 With the significant increase in demand for luxury real estate services in the region, Johnston & Daniel is the perfect offering for Muskoka’s real estate market. 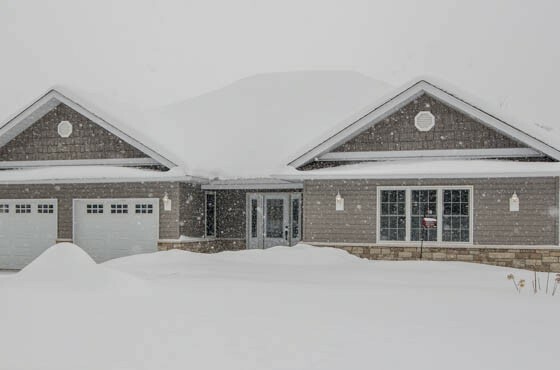 As a division of Royal LePage, Johnston & Daniel offers the service of a luxury boutique brokerage backed by the scale, synergy and credentials of Canada’s largest and oldest real estate company. Clients will have access to an intuitive and custom-tailored experience and will benefit from a robust and collaborative real estate network, a hallmark of Johnston & Daniel’s culture. Active clients can rest assured that we have taken great measures to plan and prepare for a seamless transition while remaining focused on their needs. Outside of re-signing documents under the new brand, current clients will not be affected. 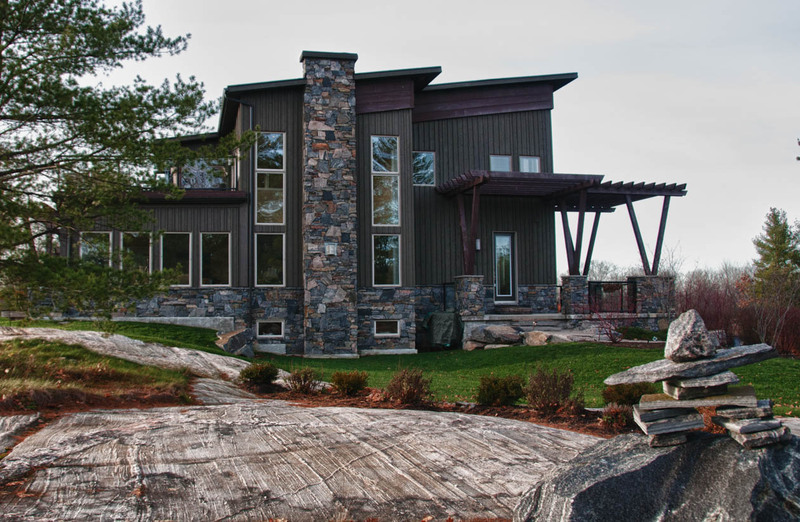 We look forward to this exciting new chapter and the opportunity to serve Muskoka’s growing luxury real estate market proudly under the prestigious Johnston & Daniel brand. 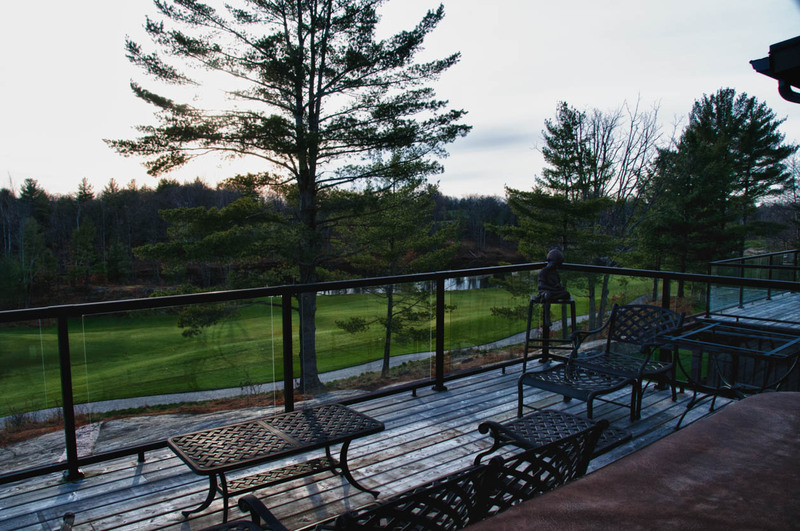 Since 1950, Johnston & Daniel has been representing the distinctive properties in Southern Ontario’s most affluent neighbourhoods. 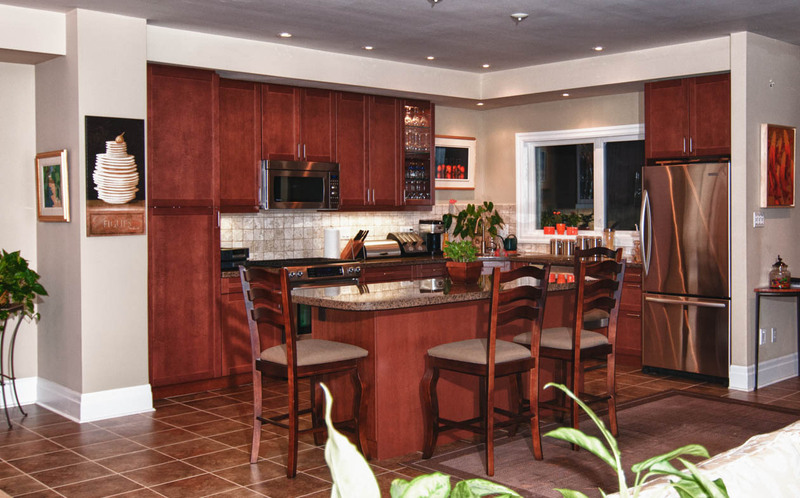 Offering caring, intuitive service and building long-term relationships, Johnston & Daniel is the standard of excellence in real estate. 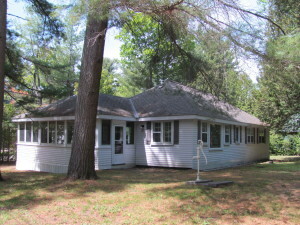 Cottage for sale on Gull Lake, Gravenhurst. 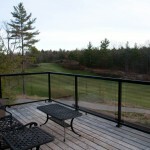 Dreaming of escaping from the office to your Muskoka Retreat? 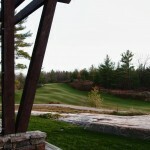 Not interested in a long drive from the city or hiking through the bush, but do want an upscale Muskoka experience? 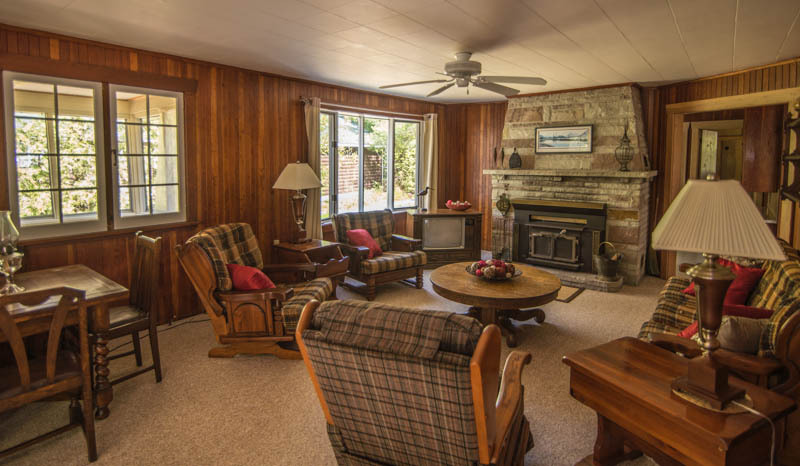 This cottage is so perfectly positioned for fun and games. 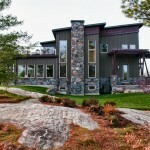 Gull Lake is beautiful, with rock outcroppings and classic Muskoka pine and style. 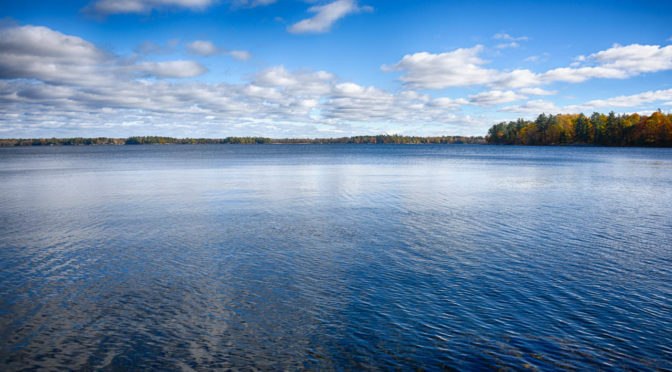 It joins Silver Lake, so you have many miles of pristine boating to enjoy. 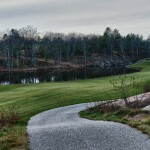 See this link for more on Gull/Silver Lakes. The view from the cottage is spectacular and the trip to the dock is a cinch. The cottage is in town. That means high speed internet (hard to get in remote areas), walking to dinner, enjoying Music on the Barge on Sunday nights, boating (or walking) for groceries and ice cream. 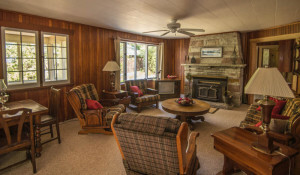 This cottage is not for those seeking a wilderness experience. 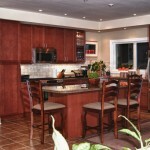 It is for upscale urban couples, with or without children who crave an easy breezy getaway. 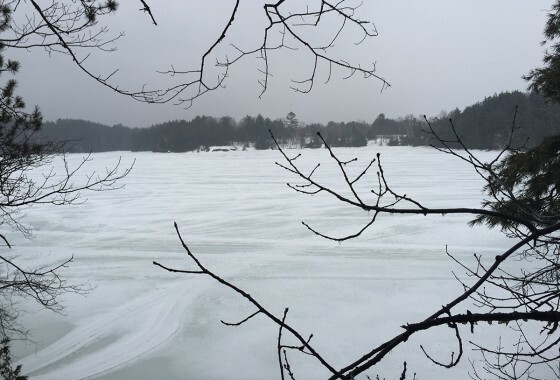 Gravenhurst is Muskoka’s town closest to the GTA. 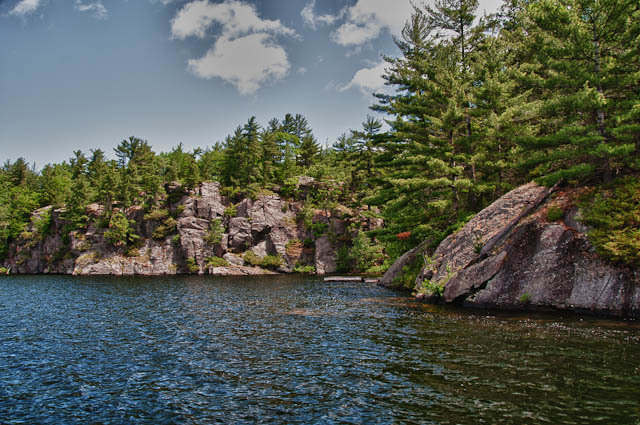 “Pristine lakes. Towering forests. Crystal clean air. And a vitality that sweeps through the trees and makes its way into your soul. 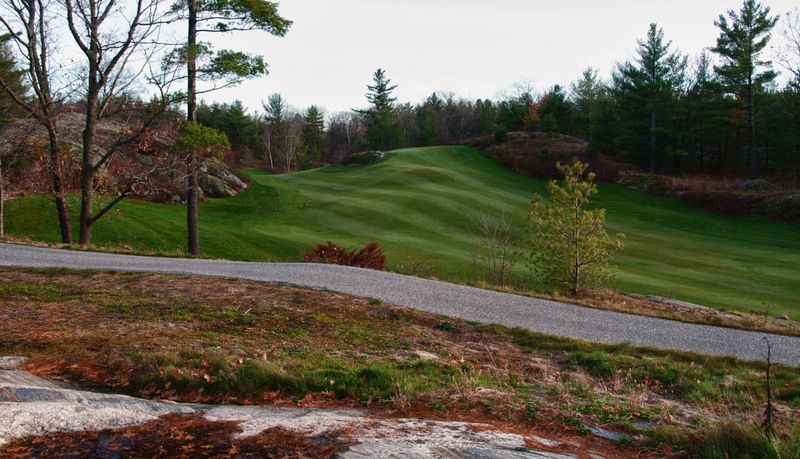 Welcome to Muskoka Bay Club, a four season community with an abundance of recreational and social activities just outside your door. 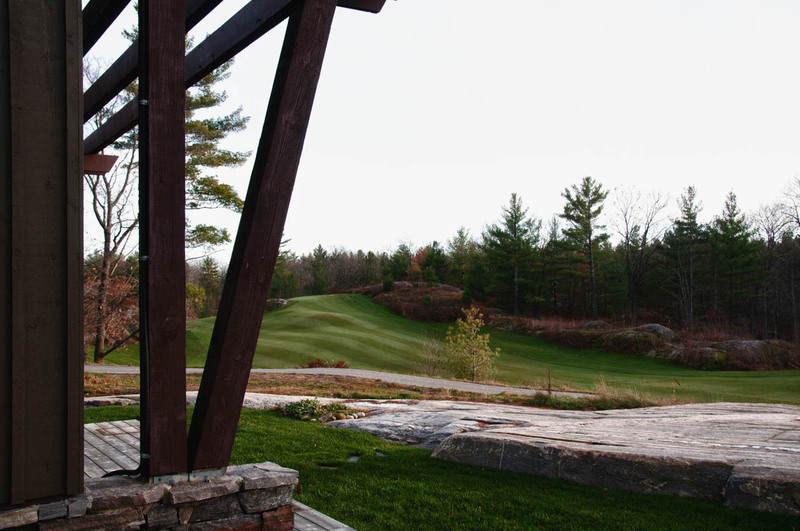 The crowning glory is the incredible 17,000 square foot Clifftop Clubhouse. 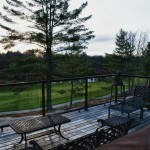 The definitive recreational and social centre – a place to play and relax. Experience exquisite dining, full-service fitness, a stylish spa retreat, infinity pool, kid’s pool, tennis courts, pro shop and bistro. 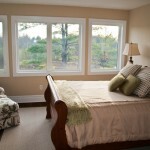 If you’d prefer more privacy, you can retreat to your beautifully-designed residence. 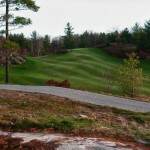 Muskoka golf at its finest – and its most convenient; living right on the 12th fairway. 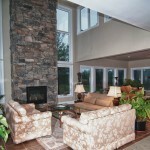 Listed for sale is the jewel of the Muskoka Bay Club Villas. 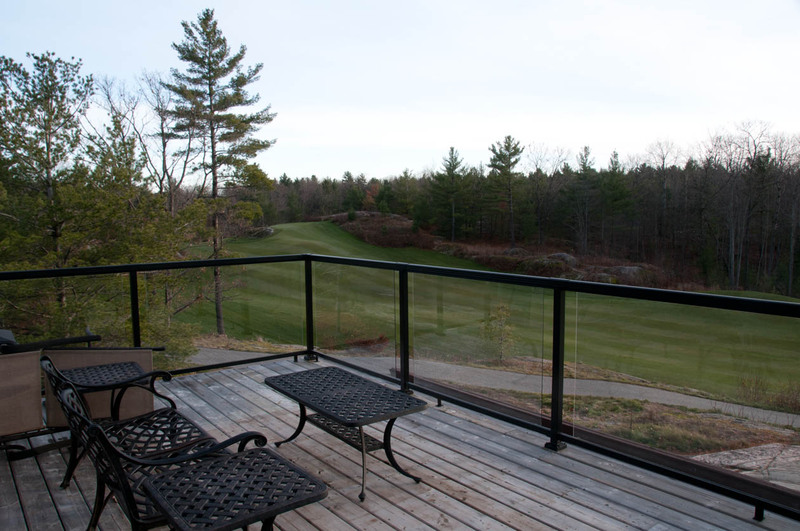 Stunning villa and property; great entertaining, gorgeous views down and across the 12th fairway including a large pond and world-class Muskoka golf. 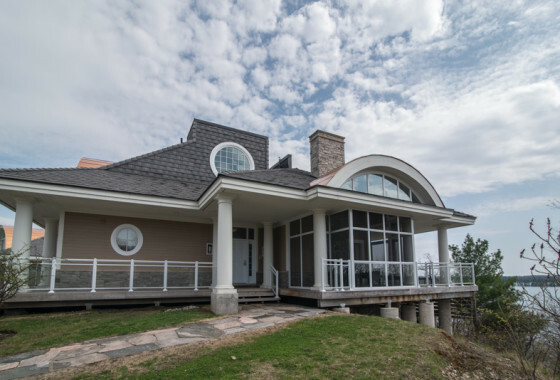 Total privacy and those great views from the second floor balcony and hot tub. Beautifully appointed three bedroom, four bathroom villa, with many inclusions. 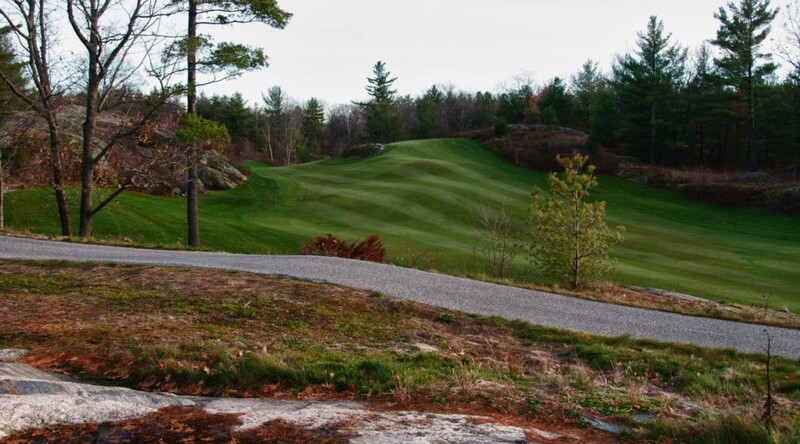 Gorgeous landscaping, quintessential Muskoka lifestyle in a clubhouse environment overlooking the award winning, Carrick designed Muskoka golf course. Fully finished lower level. Perfect for a couple or family. For more information follow this link. For a private tour, please use the contact form to the left. We would be delighted to show you this gem. 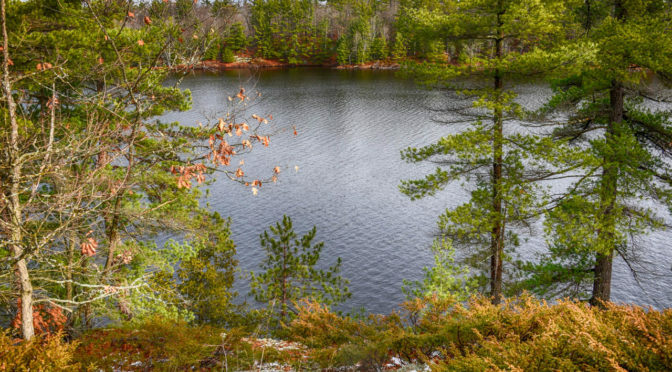 UPPER SEVERN (near Sparrow Lake). Finally an affordable cottage in Muskoka for sale in fantastic condition, on a great waterway, waiting for you to start your family memories! 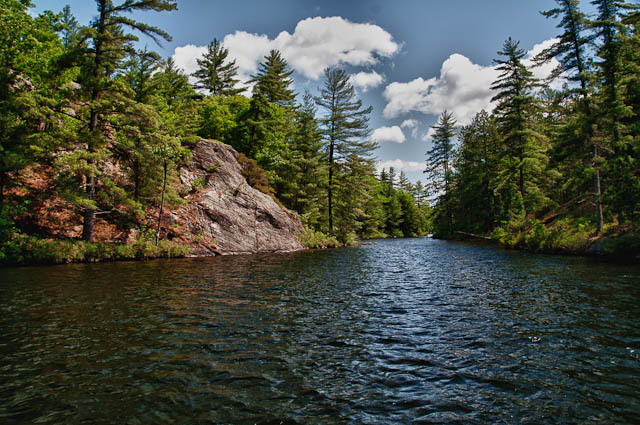 Excellent swimming, boating, fishing and campfires reside here. 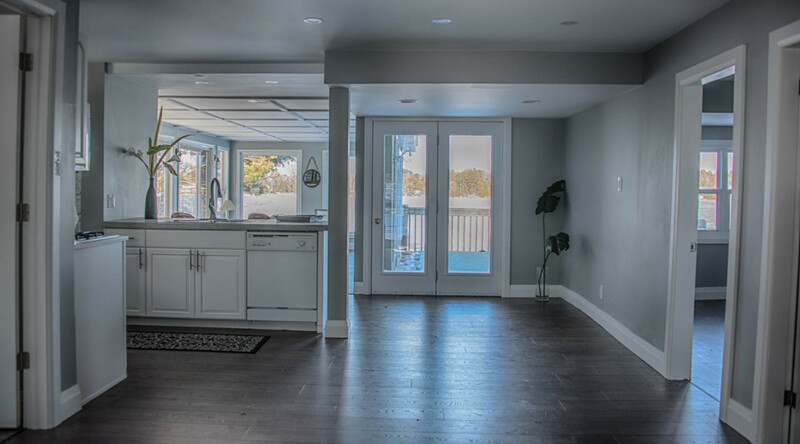 Great views of the water from the kitchen, the dining room and the living room. 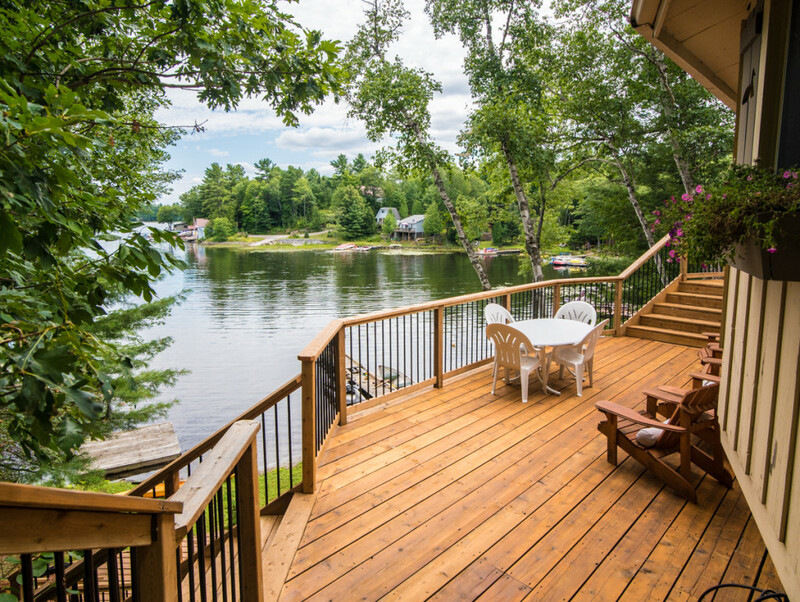 Extensive, multi level decking invites you outside to enjoy the fresh breezes off the water and to take in a little `me` time in the sun. If you listen you can hear the squeals of delight as your children catch their first fish. 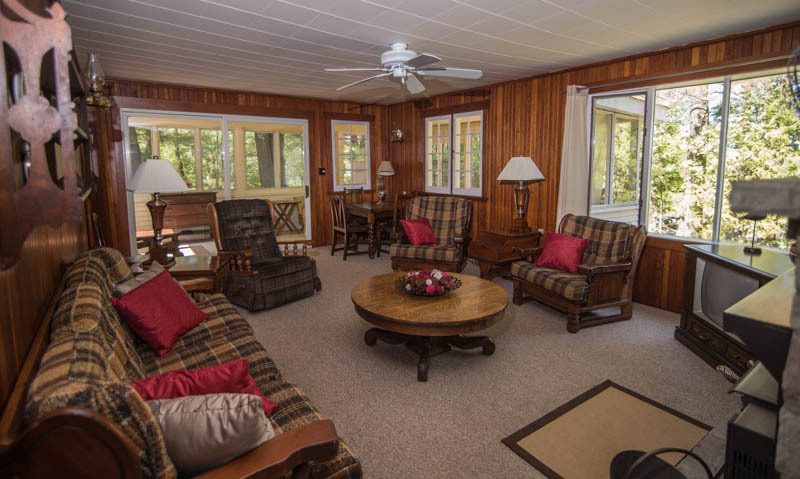 The main cottage offers two bedrooms and the Bunkie is a bedroom on its own. 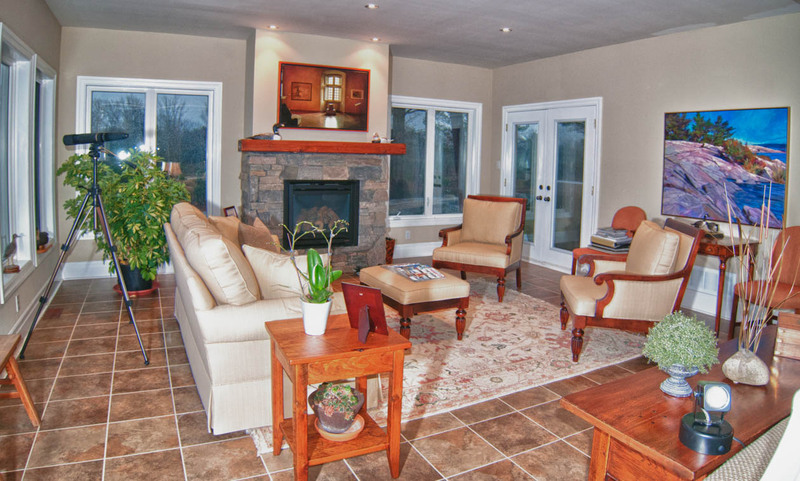 The large Muskoka Room provides another place for gathering, games and puzzles, rain or shine. 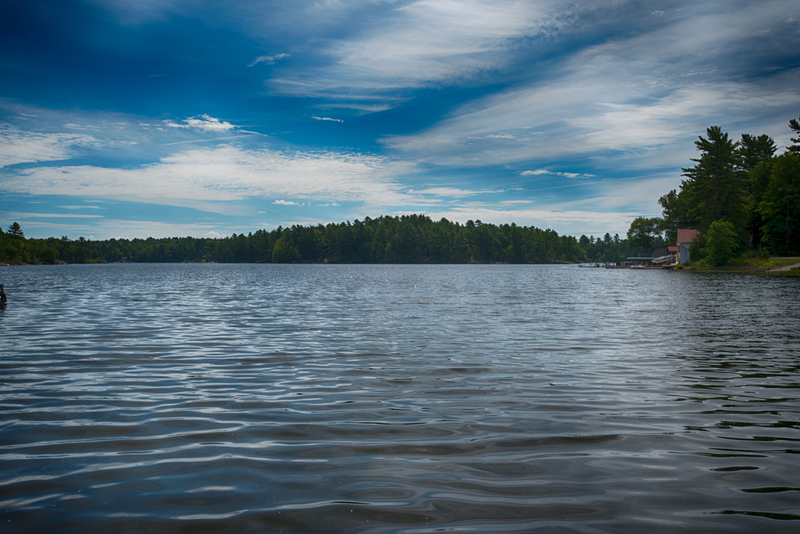 The waterfront is level and sandy and the dock is solid and provides plenty of room for a boat or two. Child friendly area, so your family can expect to make life long cottage friends. 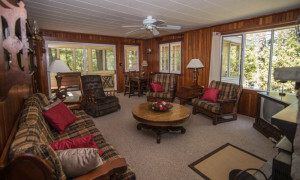 Close to both Gravenhurst and Orillia, this lakeside retreat is an easy drive from the Golden Horseshoe. 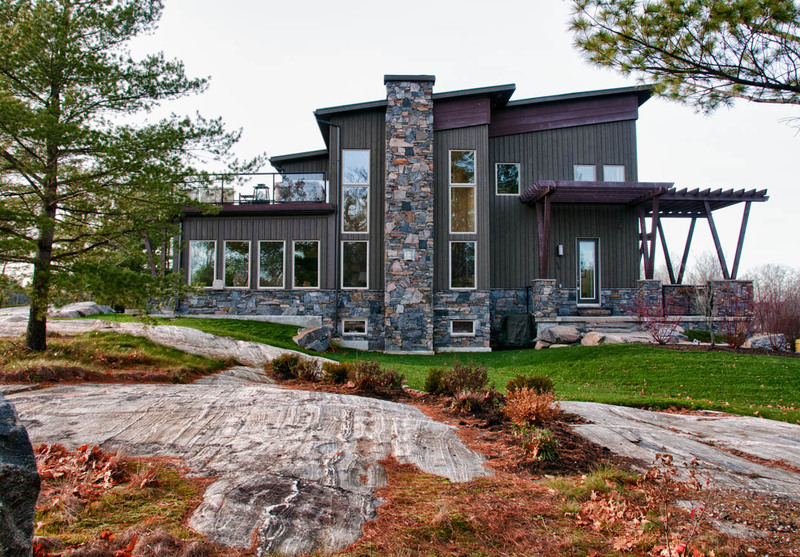 Breathtaking vistas across Lake Muskoka. Amenities galore, including infinity pool, restaurant and bar. 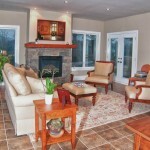 This three bedroom luxury fractional property is just waiting for you to arrive. 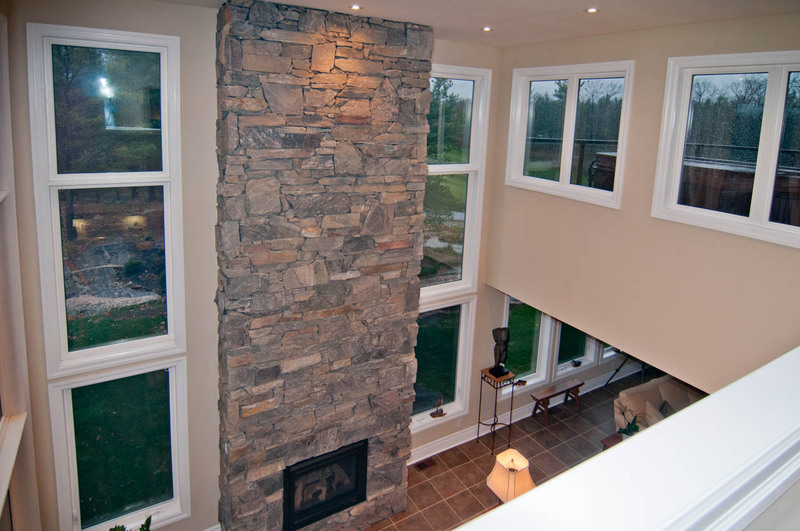 Everything is taken care of, so you can relax and take in all that Muskoka has to offer, including enjoying the two sided fireplace from living room to Muskoka room. A1/A2 fractions offer prime first two weeks in July and another summer week in August in addition to ten other weeks throughout the year. Use all thirteen weeks, or put some into the rental pool. Or purchase 1/8 alone. Prime holidays rotate between the owners. Full fixed schedule available upon request. 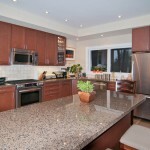 Condo fees include housekeeping, cleaning, maintenance. 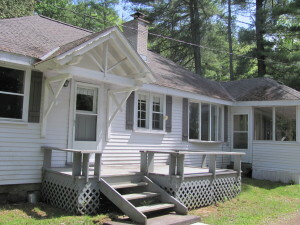 Real Muskoka cottage for sale. 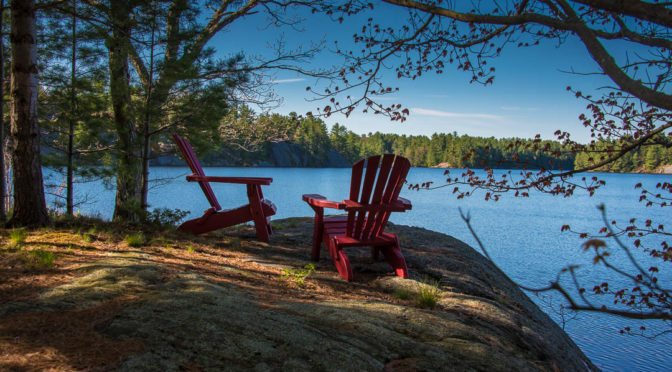 Every once in a while there is a very special place that speaks to that special cottager who loves Muskoka history. 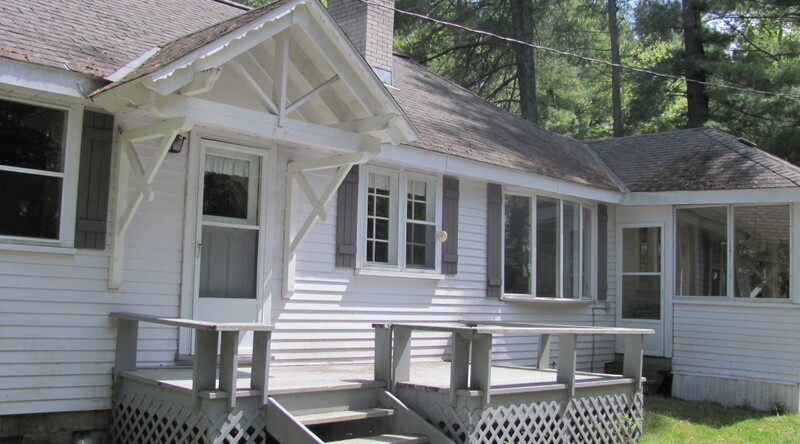 This place was built in the thirties, in Muskoka Beach Village and although it has been very well preserved, it still has all the original features that made cottaging so appealing in the past century. 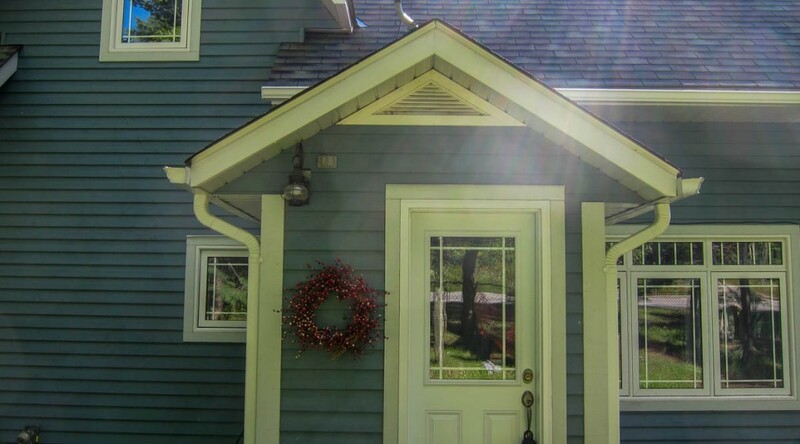 The cottage is white clapboard, with an oversized Muskoka Room, for starters. You can see the water through the trees, while sitting on the porch. 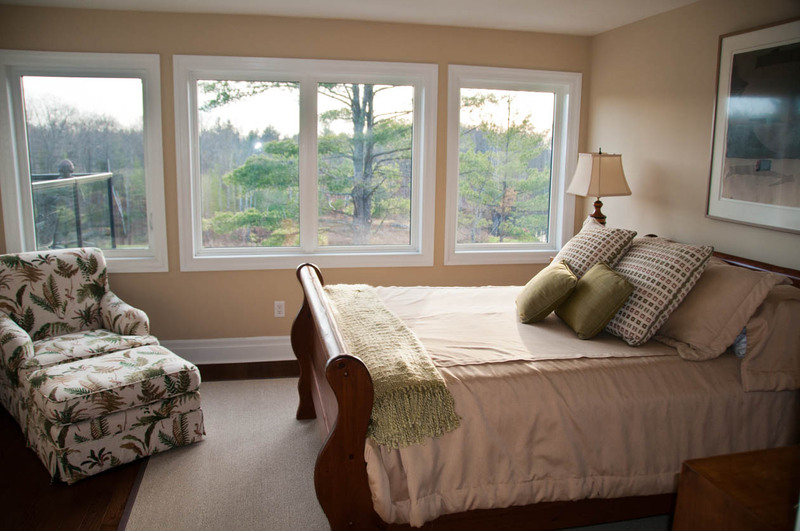 The walls are fir lined, and the rooms are spacious. 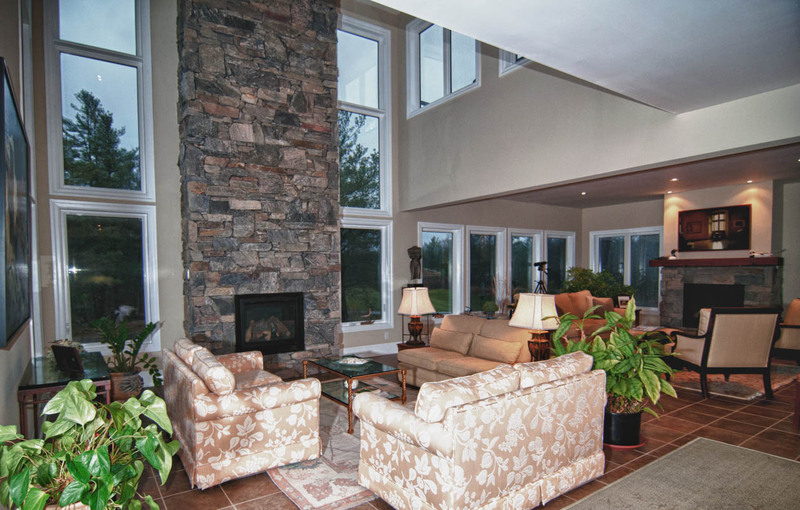 The original stone fireplace is so appealing, and there are pristine oil lamps attached to the walls. 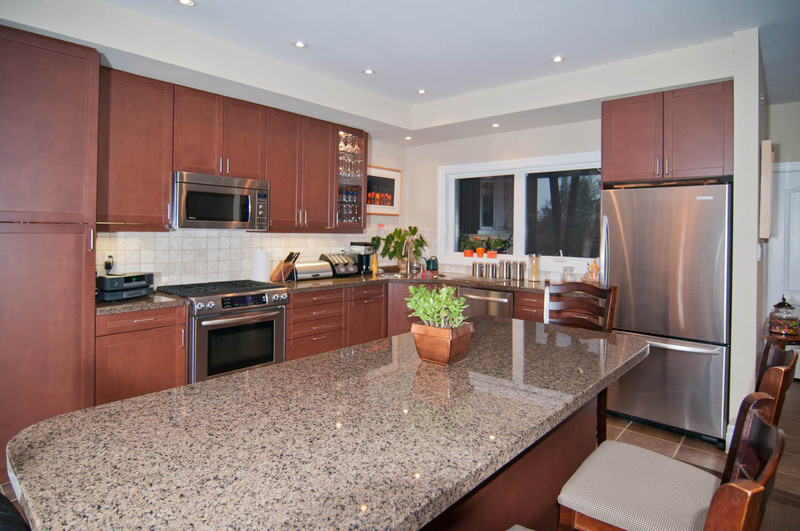 The bathroom is bright and gleaming and the kitchen is large. If you listen carefully, you can hear the rabble of meal making, and the laughter of a bygone era. 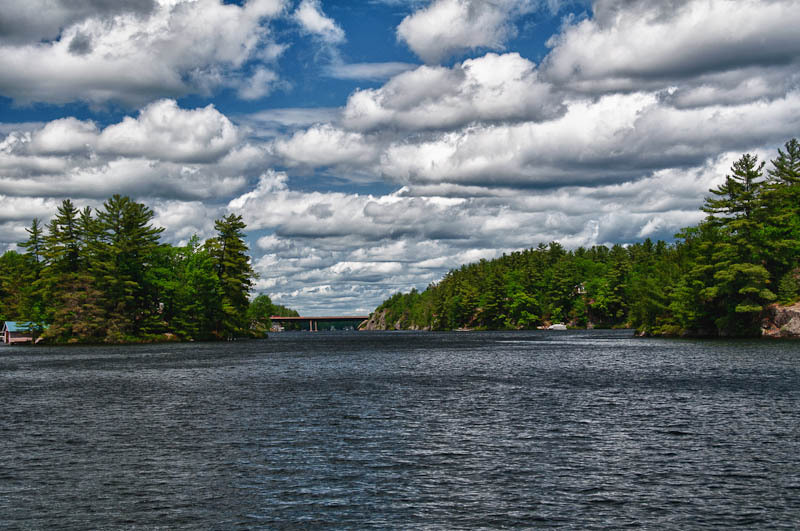 The carefree days of enjoying Olde Muskoka don’t have to be over. 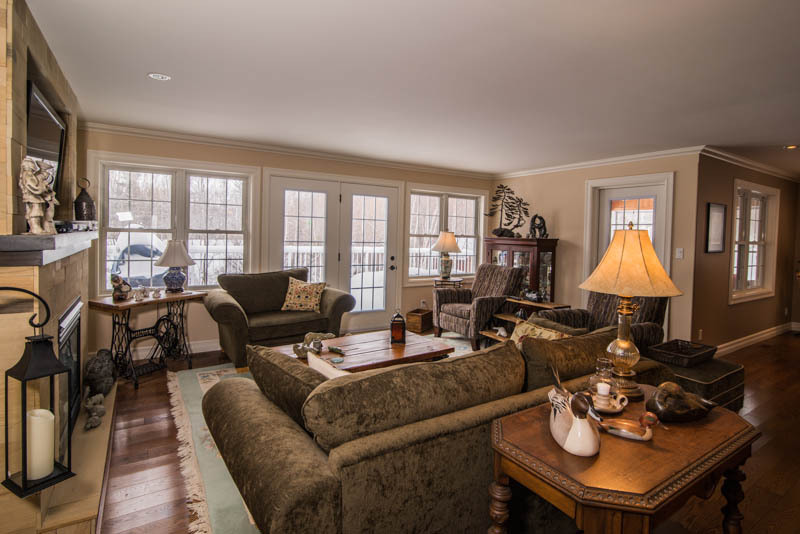 Purchase this property today. 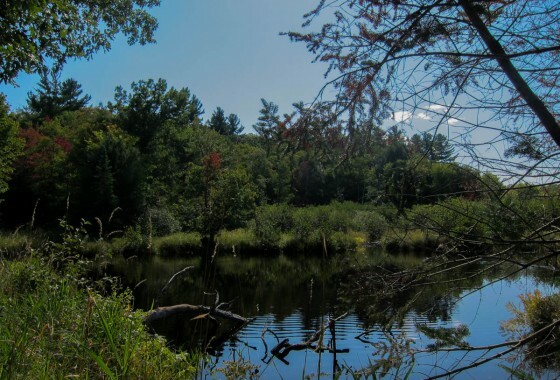 It stands steadfast on a double lot with municipal water and the potential for municipal sewage. It is currently three season, but would make a great place to live year ’round with some renovations. The beach is a few steps away. 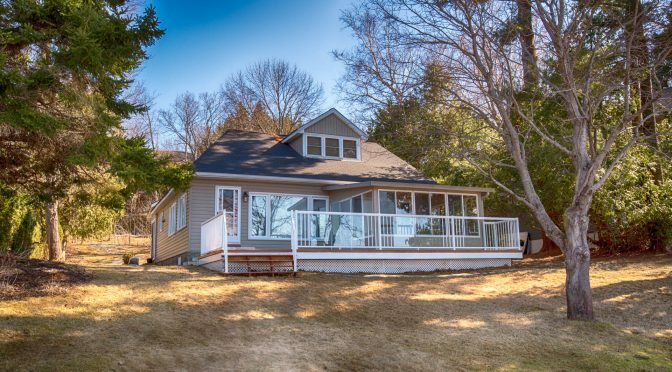 This cottage is not directly on the waterfront (but not across a road) , and therefore the taxes are low. For clients and cottage owners that get our updates : we have a Rainfall Warning for today & into Friday morning for Parry Sound/Muskoka. Also a flood watch advisory from the Ministry of Natural Resources. 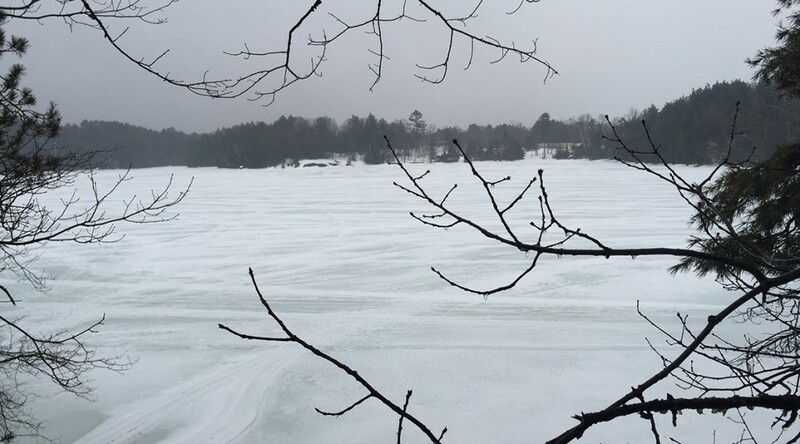 Here passed along by the Muskoka Lakes Association. 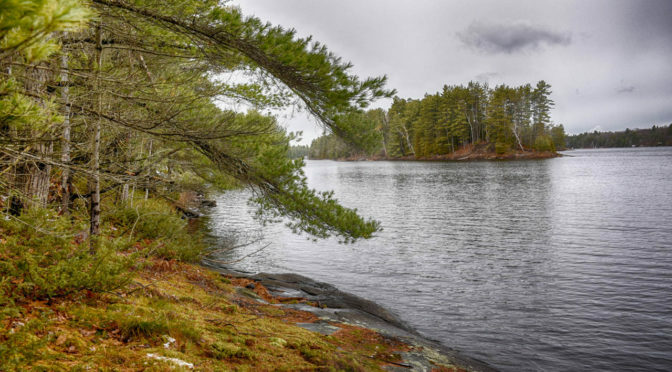 The Ministry of Natural Resources – Parry Sound District is advising area residents that a Flood Watch is in effect for all watersheds within the District which includes the District Municipality of Muskoka, the Territorial District of Parry Sound and a north-west portion in the County of Haliburton. Water levels and flows in lakes and rivers will increase as a result of rainfall and continued melting of the snow pack. The rate of rise in water levels and flows will increase over the next several days due to warmer air temperatures and forecasted rainfall. It is expected that lower-lying portions of known flood-prone roads along river courses will be impacted to various degrees as river levels continue to rise. It is anticipated that vulnerable, low-lying roads and properties along the Big East River within the Town of Huntsville may begin to be impacted over the weekend as river flows increase. Residents affected by high water conditions in the past should take necessary action in advance of rising water levels to secure any vulnerable property in close proximity to rivers and lakes and closely monitor developing conditions. Residents and those visiting the area are advised to be aware of current watershed conditions, exercise caution while around waterbodies and maintain close supervision of children and pets. Rainfall amounts up to 45mm with possible thunderstorms are forecasted for today and tomorrow with daytime highs reaching 13 degrees Celsius over the weekend will advance the melting of the snow pack and cause a significant increase in water levels and flows over the next few days. The remaining snow pack in the area continues to average a depth of 50 centimetres with an average water content of 150 millimetres. This is approximately 50% higher than normal for this time of year. Levels and flows have been slowly increasing over the past few days but warmer temperatures with rain will cause flows and levels to increase more rapidly. During this time of year we can expect higher and faster flowing water in most watercourses. 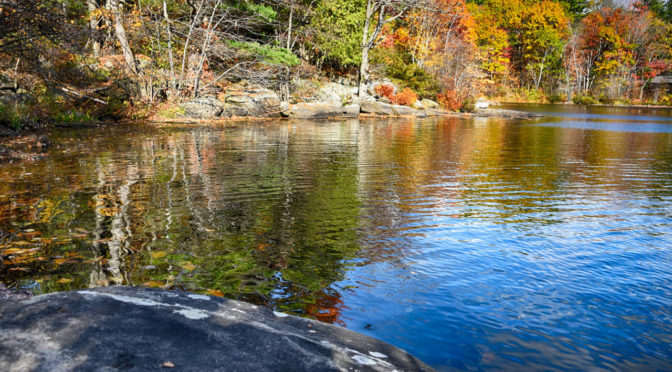 Slippery and unstable banks and extremely cold water temperatures can lead to very hazardous conditions around any water body. 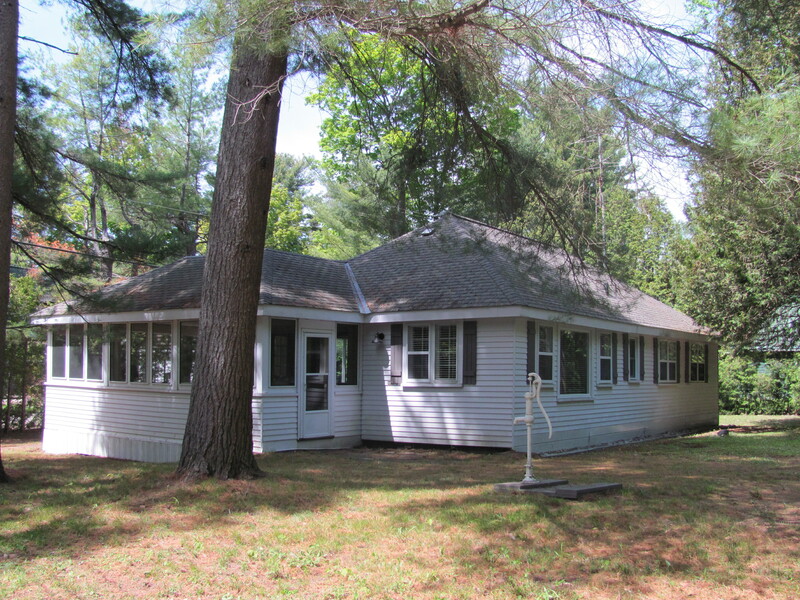 On Lake Muskoka, close to town, yet worlds away, this Muskoka cottage building lot has a site evaluation report & building permit on file. Permit will need to be updated with the town. 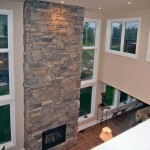 Rock & treed shoreline, superb views & sunny exposure.